Chronic ankle pain is frequently caused by a previous injury. Sprained ankles sometime do not heal properly or may not have been treated appropriately when the injury first occurs. The ankle then becomes unstable and can cause chronic pain. 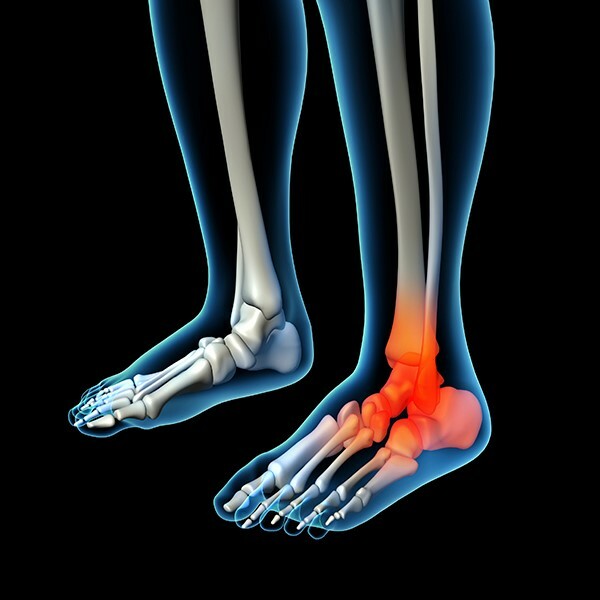 Degenerative arthritis may also occur as a result of injury to the ankle. Another cause of ankle pain is Tarsal Tunnel Syndrome. Pain usually occurs on the inside of the ankle. Inversion ankle sprains (ankle turns in) usually cause pain on the outside of the ankle. Degenerative arthritis can cause pain seemingly deep inside the ankle joint. There are other causes of ankle pain which can be diagnosed and treated by our doctors. An unstable ankle where it always seems like you are turning and injuring your ankle can be a very painful and debilitating condition. It can also lead to an ankle fracture if not treated. Surgical correction of chronic ankle sprains is simple with ligament repair or replacement procedures. Most can get back to a normal lifestyle without being concerned about reinjuring the ankle. Both Dr. Reed and Dr. Dupuis have very sophisticated procedures to resolve this debilitating injury. If treated early before the joint is destroyed, painful degenerative arthritis symptoms can usually be resolved. Some people have weak ankles that frequently collapse causing severe pain on the outside of the ankle. This condition can become chronic and is usually caused by a traumatic sprain that may not have been adequately treated when it first occurred. This then leads to an unstable ankle that seems "weak". Sometimes arthritis occurs as a result of the unstable ankle. Our doctors use an innovative technique to repair the torn ligaments that cause the ankle to become unstable. If not repaired during the initial traumatic event, these torn ligaments can atrophy (waste away). Without these ligaments being available for repair, surgeons have tried a variety of procedures (such as tendon transfers) to stabilize the ankle. Most of these have significant complications. Our technique actually replaces the torn ligament using freeze-dried tissue which is very similar to real ligament. There is no need to destroy tendons in an attempt to stabilize the ankle. 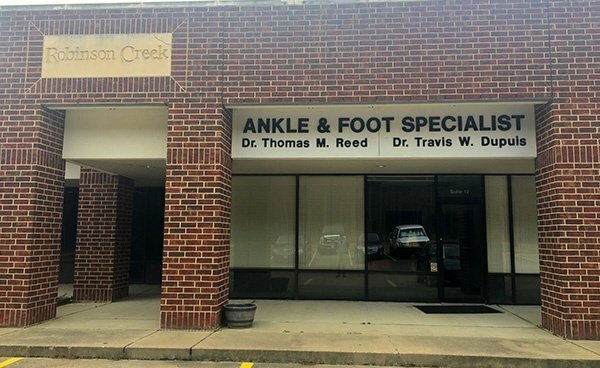 Dr. Reed has been using this surgical technique for over twenty years. He has also published a manuscript about the technique in the Journal of Foot and Ankle Surgery. One of the more common conditions treated by podiatric surgeons is the painful bunion. Patients with this condition will usually complain of pain when wearing certain shoes, especially snug fitting dress shoes, or with physical activity, such as walking or running. Sometimes, bunions can be treated conservatively to bring pain relief. This may involve shoe gear modification, padding and orthotics. When this fails to provide adequate relief, surgery is often recommended. There are several surgical procedures to correct bunions. Selection of the most appropriate procedure for each patient requires knowledge of the level of deformity, review of the x-rays and an open discussion of the goals of the surgical procedure. Early treatment of bunions is centered on providing symptomatic relief. Switching to a shoe with a rounder, deeper toe box and made of a softer more pliable leather will often provide relief. The use of pads and cushions to reduce the pressure over the bone can also be helpful for mild bunion deformities. Functional foot orthotics control abnormal pronation, reducing the deforming forces leading to bunions in the first place. These may help reduce pain in mild bunion deformities and slow the progression of the deformity. When these conservative measures fail to provide adequate relief, surgical correction is indicated. The choice of surgical procedures (bunionectomy) is based on a biomechanical and radiographic examination of the foot. Because there is actual bone displacement and joint adaptation, most successful bunionectomies require cutting and realigning the 1st metatarsal (an osteotomy). Simply "shaving the bump" is often inadequate in providing long-term relief of symptoms and in some cases can actually cause the bunion to progress faster. The most common procedure performed for the correction of bunions is the 1st metatarsal neck osteotomy, near the level of the joint, commonly called an Austin Bunionectomy. This refers to the anatomical site on the 1st metatarsal where the actual bone cut is made. Other procedures are performed in the shaft of the metatarsal bone and still other procedures are selected by the surgeon that are performed in the base of the metatarsal bone or at the joint of the bone behind the first metatarsal, commonly called a Lapidus Bunionectomy. 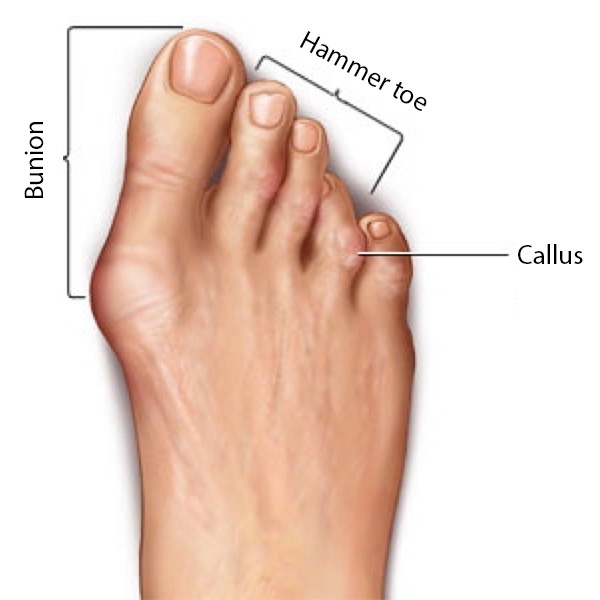 A bunion deformity can also cause the other toes to function abnormally causing hammertoes and calluses on the top of these toes. These can be very painful especially when wearing certain types for shoes that may be a little snug on the foot. The hammertoes and calluses may need to be surgically corrected if conservative care does not provide relief. Ingrown toenails are due to the penetration of the edges of the nail plate into the soft tissue of the toe. It begins with a painful irritation that often becomes infected. With bacterial invasion, the nail margin becomes red and swollen often demonstrating drainage or pus. In people who have diabetes or poor circulation this relatively minor problem can be become quite severe. In this instance a simple ingrown toenail can result in gangrene of the toe. Patients with joint replacements or pace makers are at risk of bacterial spread through the blood stream resulting in the spread of infection to these sites. These patients should seek medical attention at the earliest sign of an ingrown toenail. There are several causes of ingrown toenails: a hereditary tendency to form ingrown toenails, improperly cutting the toenails either too short or cutting into the side of the nail and ill-fitting shoes can cause them. Children will often develop ingrown toenails as a result of pealing or tearing their toenails off instead of trimming them with a nail clipper. Once an ingrown toenail starts, they will often reoccur. Many people perform "bathroom" surgery to cut the nail margin out only to have it reoccur months later as the nail grows out. Treatment for ingrown toenails is relatively painless. 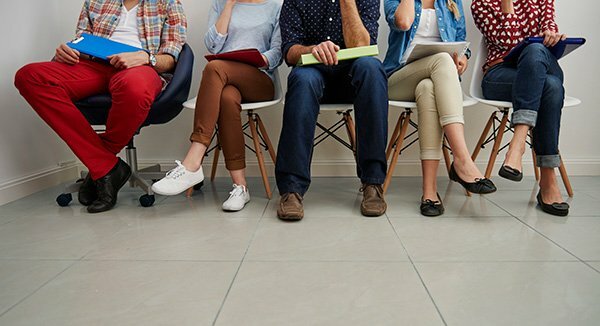 The injection to numb the toe may hurt some, but a skilled doctor has techniques to minimize this discomfort. Once the toe is numb, the nail margin is removed and the nail root in this area is treated to keep the ingrown portion from returning. Most commonly, the doctor will use an acid for this purpose, but other techniques are also available. It may take a few weeks for the nail margin to completely heal, but there are generally no restrictions in activity, bathing or wearing shoes. Once the numbness wears off, there may be some very mild discomfort but rarely does this require pain medicine. A resumption of sports activities and exercise is generally permitted the following day. To help prevent ingrown toenails, it is recommended to wear properly fitting shoes and to trim the toenails straight across and not to short. There are very few complications associated with this procedure. Recurrence of the ingrown toenail can occur a small percentage of the time. Continuation of the infection is possible which can be controlled easily with oral antibiotics.A neuroma is a swelling of the nerve from compression or trauma. They are often described as nerve tumors. However, they are not in the purest sense a tumor. The most common site for a neuroma is on the ball of the foot. The most common cause of neuroma in ball of the foot is the abnormal movement of the long bones behind the toes called metatarsal bones. A small nerve passes between the small spaces of the metatarsals. It is in this area the nerve gets pinched and swells, forming the neuroma. Burning pain, tingling, and numbness in one or two of the toes is a common symptom. Sometimes this pain is severe. Removing the shoe and rubbing the ball of the foot may help to ease the pain. As the nerve swells, it can sometimes feel as a popping sensation when walking. Pain is intermittent and is aggravated by anything that results in further pinching of the nerve. When the neuroma is present in the space between the third and fourth toes, it is called a Morton's Neuroma. This is the most common area for a neuroma to form. Another common area is between the second and third toes. Neuromas can occur in one or both of these areas and in one or both feet at the same time. Neuromas are very rare in the spaces between the big toe and second toe, and between the fourth and fifth toes. Neuromas have also been identified in the heel area, resulting in heel pain. Treatment for the neuroma may consist of cortisone injections, orthotics, chemical destruction of the nerve, or surgery. Cortisone injections are generally used as an initial form of treatment. Cortisone is effective when injected around the nerve because is can shrink the swelling of the nerve. This relieves the pressure on the nerve. Cortisone may provide relief for many months, but is often not a cure for the condition. The abnormal movements of the metatarsal bones continue to aggravate the condition over a period of time. To address the abnormal movement of the metatarsal bones, a functional foot orthotic can be used. These devices are custom-made inserts for the shoes that correct abnormal function of the foot. The combination treatment of cortisone injections and orthotics can be a very successful form of treatment. We may also recommend a sclerosing agent as a conservative treatment which effectively stops the nerve from functioning by using a series of injections on the nerve with minimal discomfort. If, however, there is significant damage to the nerve, conservative care will not provide relief, our doctors will use sophisticated surgical techniques to remove the nerve permanently. There will be some numbness on the inside of the toe, but the pain will be gone. Our doctors also use our specially developed surgical technique to hide the nerve stump from being irritated after surgery which can happen sometimes. 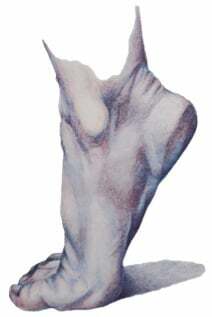 Just below the ankle bone on the inside of the ankle, a large nerve passes into the foot. At this level, the nerve can become inflamed. This condition is called Tarsal Tunnel Syndrome. There may be pain at this site of the inflamed nerve on the inside of the ankle. Pain may also be experienced in the bottom of the foot, in the toes, or even on the inside of the leg. This can be a difficult diagnosis to make in certain circumstances. The treatment for Tarsal Tunnel Syndrome is very similar to the treatment for Carpal Tunnel Syndrome in the hand. Conservative care includes anti-inflammatory medication, immobilization of the foot for a couple of weeks in a special walking boot, and physical therapy. Sometimes a cortisone injection will resolve the symptoms. Orthotics may also help control the biomechanical forces that contribute to the symptoms. If conservative care does not relieve the symptoms, then surgery is usually recommended to release the band overlying the nerve. This procedure relieves the pressure on the nerve and is very effective in resolving the painful symptoms. What if You Need Foot Surgery? If foot surgery is recommended, most surgery can be performed under local anesthesia and mild sedation. The hospital or surgery center where the surgery is performed will determine what anesthesia is best. The foot is given a numbing agent so that the procedure can be performed without the patient feeling it. In addition, sedation is usually given just before surgery. It is a very relaxing drug. Most people will only remember being in the pre-op area and then awakening in the post-op area. There is usually no memory of the surgery. One of the greatest benefits is that most people do not experience that nauseated, "trying to wake up" feeling that seems to occur with older general anesthesia practices. If general anesthesia is recommended, it is very safe and most of the time there is no post-op nausea. 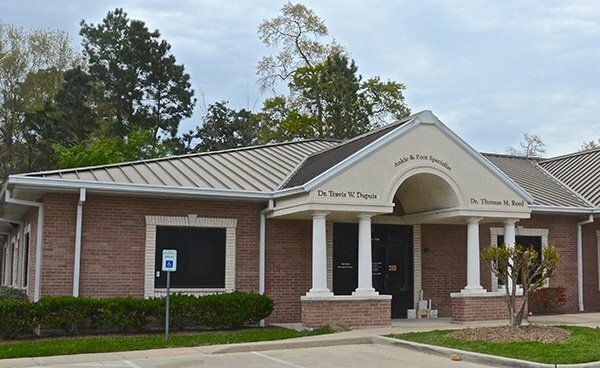 Podiatrists are uniquely trained to perform most surgical procedures under local anesthesia with mild sedation. They work very closely with the anesthesiologists to provide the most comfortable setting possible during your surgical experience. Athlete's foot is caused by a fungal infection of the skin on the foot. The majority of these infections are caused by one of three fungal agents called dermatophytes. Athlete's foot is by far the most common fungal infection of the skin. The infection can be either acute or chronic. The recurrent form of the disease is often associated with fungal-infected toenails. The acute form of the infection most often presents with moist scaling between the toes with occasional small blisters and/or fissures. As the blistering breaks, the infection spreads and can involve large areas of the skin on the foot. The burning and itching that accompany the blisters may cause great discomfort that can be relieved by opening and draining the blisters or applying cool water compresses. The infection can also occur as isolated circular lesions on the bottom or top of the foot. As the skin breaks down from the fungal infection, a secondary bacterial infection can ensue. The diagnosis of Athlete’s foot (Tinea Pedis) or fungal nail infections is generally made based upon the clinical presentation. A definitive diagnosis can be made by taking a scraping of the skin and culturing it. It may take up to three weeks for the culture to grow the fungus. Treatment should be directed at controlling the fungal infection with topical or oral anti-fungal medication and treating any secondary bacterial infection with oral antibiotics. Soaking the feet in Epsom salts and warm water is helpful. Wearing sandals to reduce moisture accumulation and heat generated by closed shoes will also help to control the spread of the infection. The chronic form of foot fungus is a relatively non-inflammatory type of infection. It is characterized by a dull redness to the skin and pronounced scaling. It may involve the entire bottom of the foot giving a "moccasin" appearance. It generally does not itch or result in the formation of blisters. This form of the disease frequently has an associated fungal infection of the toenails. There are effective topical and oral medications available for the treatment of this condition. Sometimes fungal toenails can be very deformed and even have an offensive odor. When this occurs, it is best to have the infected nails removed permanently. This is a relatively simple office procedure when needed. The most common form of heel pain, is pain on the bottom of the heel. It tends to occur for no apparent reason and is often worse when first placing weight on the foot. Patients often complain of pain the first thing in the morning or after getting up to stand after sitting. The pain can be a sharp, searing pain or present as a tearing feeling in the bottom of the heel. As the condition progresses there may be a throbbing pain after getting off your feet or there may be soreness that radiates up the back of the leg. Pain may also radiate into the arch of the foot. Sometimes pain will also occur in the back of the heel. Most of the time there will be a bone spur which is causing the pain. To understand the cause of the pain on the bottom of the foot, one should understand the anatomy of the foot and some basic mechanics in the function of the foot. A thick ligament, called the plantar fascia, is attached into the bottom of the heel and fans out into the ball of the foot, attaching into the base of the toes. The plantar fascia is made of dense, fibrous connective tissue that will stretch very little. It acts something like a shock absorber. As the foot impacts the ground with each step, it flattens out lengthening the foot. This action pulls on the plantar fascia, which stretches slightly. When the heel comes off the ground the tension on the ligament is released. Anything that causes the foot to flatten excessively will cause the plantar fascia to stretch greater that it is accustom to doing. One consequence of this is the development of small tears where the ligament attaches into the heel bone. When these small tears occur, a very small amount of bleeding occurs and the tension of the plantar fascia on the heel bone produces a spur on the bottom of the heel to form. Pain experienced in the bottom of the heel is not produced by the presence of the spur. The pain is due to excessive tension of the plantar fascia as it tears from its attachment into the heel bone. Heel spur formation on the bottom of the heel is secondary to the excessive pull of the plantar fascia where it attaches to the heel bone. Many people have heel spurs at the attachment of the plantar fascia without having any symptoms or pain. There are some less common causes of heel pain but they are relatively uncommon. Treatment of heel pain can be simple when started early. Stretching exercises, anti-inflammatory medication, and arch supports placed in the shoe may help to resolve the pain. If the pain persists, cortisone injections, physical therapy, and special taping techniques may be used to treat the symptoms. Many people think that cortisone injections are painful – and they can be- but not in our office! We have a very sophisticated way of giving the injection and there is very little discomfort, if any. This conservative care is usually successful and foot arch supports are then recommended for long term control of the symptoms. If conservative care does not provide relief, then surgery is usually recommended. This procedure can be done thru small incisions (Endoscopic surgery) and is very successful. Patients can usually walk after surgery and return to shoes in two weeks. Orthotics are also highly recommended after surgery. A prescription foot orthotic is an in-shoe brace which is designed to correct for abnormal foot and lower extremity function [the lower extremity includes the foot, ankle, leg, knee, thigh and hip]. In correcting abnormal foot and lower extremity function, the prescription foot orthotics reduces the strain on injured structures in the foot and lower extremity, allowing them to heal and become non-painful. In addition, prescription foot orthotics helps prevent future problems from occurring in the foot and lower extremity by reducing abnormal or pathological forces acting on the foot and lower extremity. A prescription foot orthotics is more commonly known by the public as a "foot orthotic". Podiatrists prescribe two main types of prescription foot orthotics for their patients, accommodative orthotics and functional foot orthotics. Both types of prescription foot orthotics are used to correct the foot plant of the patient so that the pain in their foot or lower extremity will improve so that normal activities can be resumed without pain. However, accommodative and functional foot orthotics are generally made using different materials and may not look or feel the same. 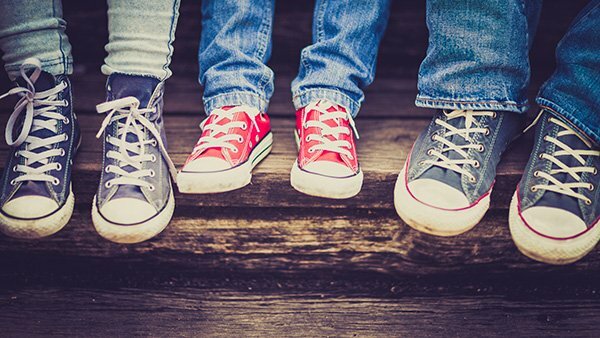 Both types of prescription foot orthotics are nearly always prescribed as a pair to allow more normal function of both feet [similar to having both the left and right wheels of a car realigned in a front-end alignment. Accommodative foot orthotics are used to cushion, pad or relieve pressure from a painful or injured area on the bottom of the foot. They may also be designed to try to control abnormal function of the foot. Accommodative orthoses may be made of a wide range of materials such as cork, leather, plastic foams, and rubber materials. They are generally more flexible and soft than functional foot orthotics. Accommodative orthotics are fabricated from a three-dimensional model of the foot which may be made by taking a plaster mold of the foot, stepping into a box of compressible foam, or scanning the foot with a mechanical or optical scanner. Accommodative orthotics are useful in the treatment of painful callouses on the bottom of the foot, diabetic foot ulcerations, sore bones on the bottom of the foot and other types of foot pathology. The advantages of accommodative orthotics are that they are relatively soft and forgiving and are generally easy to adjust in shape after they are dispensed to the patient to improve comfort. The disadvantages of accommodative orthotics are that they are relatively bulky, have relatively poor durability, and often need frequent adjustments to allow them to continue working properly. Functional foot orthotics are used to correct abnormal foot function and, in so doing, also correct for abnormal lower extremity function. Some types of functional foot orthotics may also be designed to accommodate painful areas on the bottoms of the foot, just like accommodative foot orthotics. Functional foot orthotics may be made of flexible, semi-rigid or rigid plastic or graphite materials. They are relatively thin and easily fit into most types of shoes. They are fabricated from a three-dimensional model of the foot which may be made by taking a plaster mold of the foot, stepping into a box of compressible foam, or scanning the foot with a mechanical or optical scanner. Functional foot orthotics are useful in the treatment of a very wide range of painful conditions of the foot and lower extremities. Big toe joint and lesser toe joint pain, arch and instep pain, ankle pain and heel pain are commonly treated with functional foot orthoses. Since abnormal foot function causes abnormal leg, knee and hip function, then functional foot orthotics are commonly also used to treat painful tendinitis and bursitis conditions in the ankle, knee and hip, in addition to shin splints in the legs. The advantages of functional foot orthotics are that they are relatively durable, infrequently require adjustments and more likely to fit into standard shoes. The disadvantages are that they are relatively difficult to adjust and relatively firm and less cushiony. In order to design and fabricate a prescription foot orthotics, the podiatrist must perform a biomechanical examination of the foot and lower extremities. Angular measurements are taken of the toes, foot, ankle, knees and hip to determine the amount and level of any structural or functional deformities. This examination is done while the patient is on an examining table and also while standing. 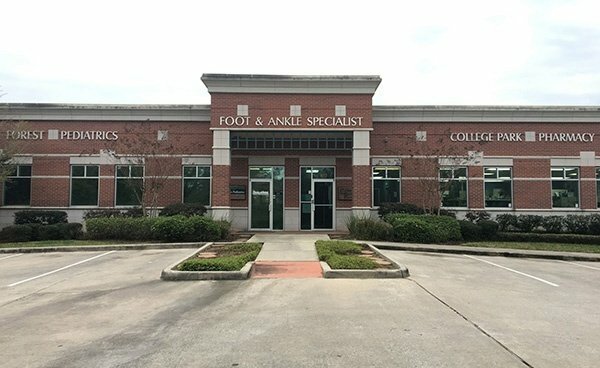 The podiatrist will also do a walking and/or running gait analysis of the patient to determine how their foot and lower extremity functions during these activities. Abnormalities from the biomechanical examination and gait examination are noted in the patient's chart for future consideration in the design and fabrication of the prescription foot orthotics. The podiatrist then next must take a three-dimensional model of the patient's feet in order to make a prescription foot orthotics. This is done by either applying plaster splints to the patient's foot, by having the patient step into a box of compressible foam, or having the foot scanned by a mechanical or optical scanner. The resultant three-dimensional model of the foot is then used along with a detailed orthosis prescription from the podiatrist to have the prescription foot orthotics made for the patient. Most podiatrists have a specialty podiatric orthosis laboratory make their orthotics while some podiatrists make their own prescription foot orthotics.